On June 26, 1998, I was spending some time—as I often did—out at the farm with my Grandpa. We spent our time either working or talking. I knew that those conversations would not last forever, and so I occasionally brought along a little tape recorder and captured those stories that Grandpa told. The conversations went all over the place, but on this particular day Grandpa had a few words about marriage. The tape recorder captured this little piece of advice, from an 89-year-old grandfather to his 19-year-old grandson. You have to be careful who you marry. Your girl is going to New Ulm school. If she stays there, and you get married together, I probably will help you. Somebody that goes with you. It can be nice, if you can stay together. You don’t know where you will be sent; God will have to lead you. She goes with you as a helper. 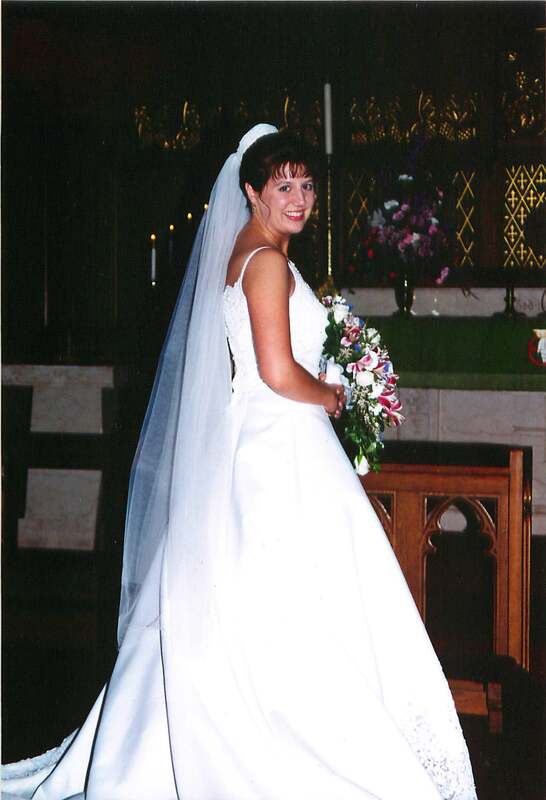 Just three years later, on June 23, 2001, I married this girl after we both graduated from this school in New Ulm (Martin Luther College). Grandpa had told me that he would come to our wedding, and that he would help us. He never got that opportunity. But I have treasured these few words of wisdom that he shared with me that day. My grandparents’ marriage spanned 47 years—till death parted them. I assume that he knew what he was talking about. He knew that if husband and wife stick together, it can be nice—even if life isn’t always so nice and easy. He understood, I suppose, what it means to have a wife as “a helper suitable for him” (Gen 1:18). I can’t say that I understood all that then. But as I reflect on those words today, and as I reflect on the nine years Sara and I have been married, I think to myself, “I do now.” She has gone with me as a helper, as I completed my training at the Seminary, as we packed up and moved to California and then to Texas. As a helper, she has become the mother of our five children and continues to nurture and care for them with diligence and patience. As a helper, she runs this household in such a way that allows me to serve as a pastor and spiritual father to the members of our congregation. And so I realize that Grandpa was right. It can be nice. When we stay together. When we live within God’s design for marriage, as a head with his helpmate. When we serve each other. It can be nice. It has. That does not mean it has always been easy. It does not mean that it ever will be perfect. But God has given me a treasure, a gift, in my bride. And I look forward to every day that God has in store for us. Congratulations Hans and Sara! What a joyful day it was 9 years ago! May God continue to grant you many more years of his grace!